There are many causes of dry mouth. One major cause of it is due to decreased secretion of saliva. This is medically known as xerostomia and can lead to mouth diseases such as oral candidiasis and painful periodontal disease. Main contributing factors are smoking, drinking too much coffee or tea, and prescription medications. You can avoid this type of dry mouth by making changes in your lifestyles or eating habits. In this article, we'll introduce to you a new type of dry mouth that is not caused by decreased secretion of saliva but can also increase your risk of developing mouth diseases and even pneumonia! There is a new type of mouth disease that can cause dry mouth even though the secretion of saliva is normal. Let's take the case of a patient wherein the amount of his saliva during the day is normal. When he gets to sleep however, he needs to get up to drink water four times during the night as he feels thirsty and the mouth is dry. Studies show that this type of dry mouth occurs if you sleep with your mouth opened! This is because saliva tends to evaporate if your mouth is open during sleep. Can Muscle Weakness of the Mouth Cause Dry Mouth? There are many cases where the mouth would open due to stuffy nose, sleep apnea, or a side effect of medications. However in the case of the patient mentioned previously, the cause of his dry mouth is surprisingly due to muscle weakness of the mouth. Other than aging, the mouth muscles may weaken due to eating too much soft foods, or speaking less often. Dry mouth caused by saliva evaporation is also susceptible to the same diseases as those who have dry mouth caused by reduced saliva production. Feeling of thirst and sticky mouth every morning. Lips become rough or chapped. People with weak mouth muscles are recommended to perform mouth exercises. 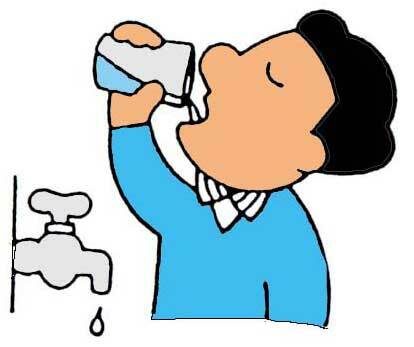 Dry mouth caused by saliva evaporation mainly occurs due to weakened mouth muscles. Fortunately, the muscles in your mouth can be strengthened by performing mouth exercises. These are the three major mouth exercises that you can do to strengthen your mouth muscles. Perform each sets of exercise 10 times every morning and every evening on a daily basis. Smile without separating your lips. Smile as big as you can and hold for 5 seconds. Pucker your lips to form a pointed kiss. Hold for 5 seconds. Inflate your mouth like a balloon. Move the air up, down, left, and right. This exercise is something that you should do throughout the day. Make it a habit to rest your tongue against the roof of your mouth on the hard palate. Practice it to be a natural position of your tongue when you are not talking or eating. Keeping your tongue on the roof of your mouth while sleeping will help prevent mouth breathing that can result to saliva evaporation. TRIVIA - Did You Know? An average person produces 25,000 quarts of saliva throughout their life. That's enough saliva to fill 1 or 2 large swimming pools! 1. "What Causes Canker Sore (Mouth Ulcer) and How You Can Treat It"